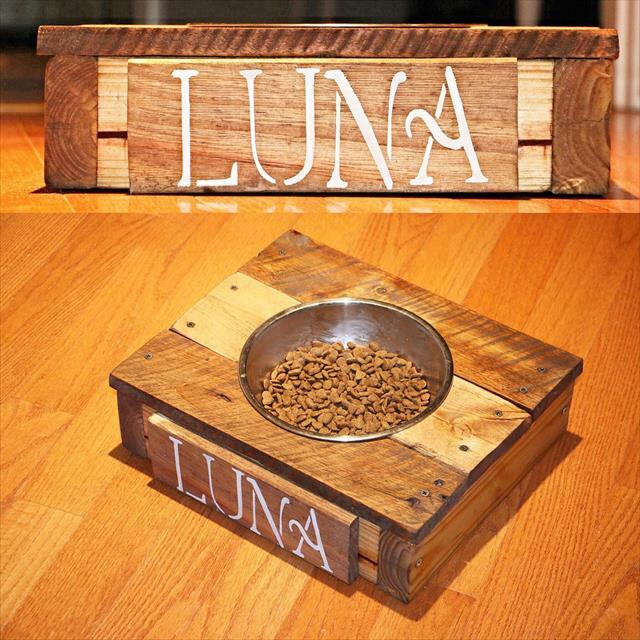 Having best platforms to fee you pets, saves lots of your worthy time and avoids dog food falling off randomly over your interior floors! 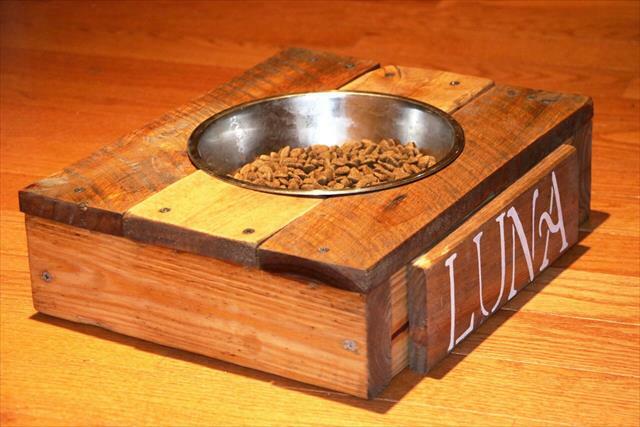 If you are also wishing to give yourself a big helping hand then this DIY pallet dog bowl stand is a perfect choice here and will also cost you nothing! Pallets after getting into required wooden lengths have been repacked to gain a wooden square with enough thickness and also with a circular cavity over its top, use the precise wood work systems to make the round cavities over the wooden surfaces! 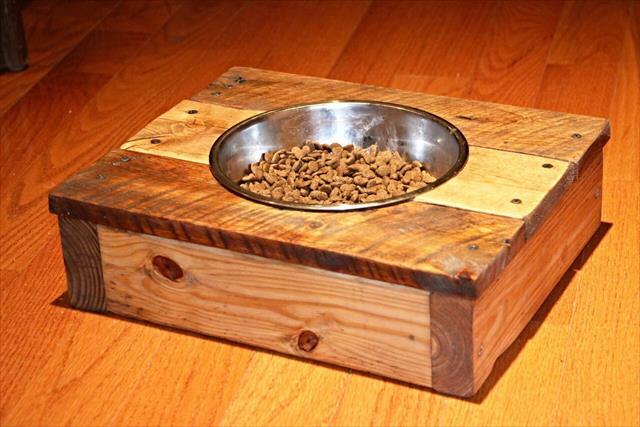 Then let the cavity to hold a steel bowl and enjoy a bizarre dog feeder that will make your dog convenient to eat his breakfast, lunch or night meal! 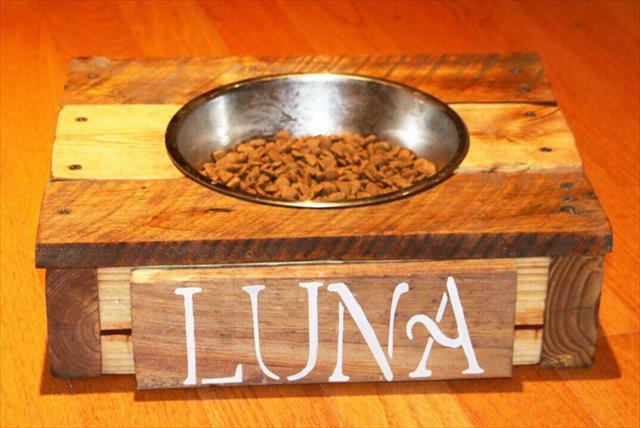 A leftover wooden slat has been tagged on front on which the name letters of pet has been written with chalk, you can also do so to personalize your dog bowl also!